This has been a nice weekend for us. We tried to be productive at home because we have several crazy weekends coming up. I spent time Friday night doing laundry and working on Harper's Baby book. I'll preview that for you later. Today I spent most of the day deep cleaning my house. It really needed it. There is a lady I work with that does a lot of wedding photography and sometimes Scott will help her. Tonight we went and helped with a wedding and it was in a really pretty spot. If you live in NWA - this is where it was. It is such a pretty setting. These were some of the pictures Scott took that I really liked. We got in the car around 8:30 to find out that AR was losing it's game 24-6. UGH! But thank goodness we came from behind to get a win. We are now 2-0 and I have a feeling those are the only two wins we will have. Tomorrow is a big day. I am teaching 7th grade girls in Sunday School. I taught them last week and I'm teaching again this week. Their regular teacher's husband is leaving for Iraq today. And last week - her son had broke his leg in football and was in the hospital. It's a big change going from 4 year olds to 7th grade girls. And then tomorrow afternoon - I'm starting a Bible study and we are doing "Stepping Up" - I'm soooo excited. I've heard this is a great study. Hope your weekend was good and don't forget to sign up for the CD give away if you haven't already! Love the wedding pics! And yay Hogs! Our boys gave us a scare as well, but pulled through thankfully! Hope it goes well tomorrow with the 7th grade girls! Having just spent 2 weeks in the 6th grade, I know how awkward that age can be. ;) I am sure they love having you as their teacher though!! And lastly (longest comment ever), a friend and I are doing Stepping Up right now as well! I just finished week 1 and heart it very much. That Beth...she's the best. Have a great Sunday, friend!! I LOVED Stepping Up!!! I did this study when D was just a newborn...some of my homework didn't get done...oops! My plan is to go back and finish the parts that I didn't do the first time around. kelly - i am starting stepping up this week too! i'm excited. everything i have done of beth moore's before i have enjoyed. keep me up to date on how it is going for you! p.s. glad to hear your team won! ms state got a win last night too - hopefully it won't be our last! Working with teenagers is so rewarding, Kelly! You're right - it's a huge change from 4 year olds, but so neat. Stepping Up is such a great study. It's so different from other Beth Moore studies. I think it was one of my absolute favorites. God is going to really bless you through that! We were at a wedding reception and caught the end of the game on tv. I am SO happy they came back to win. Amazing! 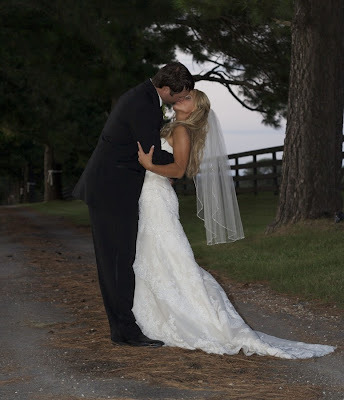 Those wedding pictures are beautiful! Reading about that teacher's husband leaving for Iraq put a pit in my stomach. I'm so sorry for that for her. I know the 7th grade girls will LOVE you! Wow what a beautiful place to have a wedding! It is gorgeous! I love the pictures that Scott took, too! They were beautiful. I can't wait to hear more about your "Stepping Up" study. I have heard nothing, but good things, about this study. As the wife of a junior high pastor, thank you for leading a group of 7th grade girls! I bet they weren't that difficult, huh? Most people run screaming the other way when they hear we need leaders for junior high, but I know those girls must have LOVED you Kelly! So on behalf of all junior high ministry staff, thanks for being brave enough to love on some girls who needed you! Remember, one day that will be Harper and her friends! Then you'll be praying for sweet women just like you to lead her! Enjoy your weekend! We passed by there on our way home from Fayetteville yesterday! It's beautiful out there. Scott got some great pictures. If Kale had been at that game... he probably would've left again in the 3rd quarter... only to miss a come-from-behind win two weeks in a row! I completed this bible study last Spring and it was wonderful. I cried every week as the Lord showed me areas of my life that needed changing. I would have to say that this was the best Beth Moore bible study I have done. I learned so much about history and how everything works to God's glory. I hope you enjoy it. I've been to some weddings at that chapel-it is beautiful! Wish I'd known about it when I was planning my wedding. Scott is getting really good at photography! 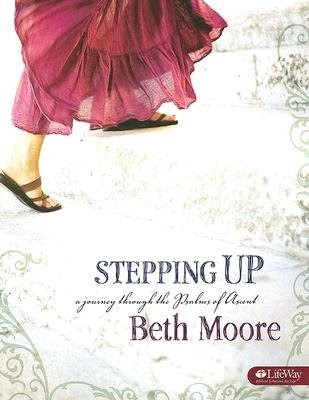 Stepping Up was one of the best Beth Moore bible studies I've ever done. I LOVED it. I grew so much and my eyes were opened in so many ways. She is more real than I've ever seen her in those videos. Also...all the videos have Travis (you know, her right hand music guy, but I can't for the life of me remember his name right now) singing on there. He does Forevermore and it's absolutely incredible! Hope you enjoy the study as much as I did! ps. did norma do that wedding? or is there someone else that does photography that you work with? Stepping Up is a wonderful bible study it is very enlightening. I hope you enjoy it as much as I did. Only 12 more days until the big day. Thank you for being such a wonderful friend to Hill! You are going to love Stepping Up. I did it last Fall with my home church and was so blessed by it! Did Norma David take these pictures? Matt and Kelly? i am ding the Beth Moore study starting next week! i am so excited for it! i hopw you blog about what god is speaking to you! You will love stepping up! I started it last week and love it! It sounds like a nice, low-key weekend ;)! When I saw that the Hogs won by 2 points, I immediately thought of all of my AR friends ;)! Can't wait to see the baby book! You are going to LOVE Stepping Up. It's incredible and God will bless you through it! Kelly...those wedding pix are stunning!! Just beautiful! And, we started "Stepping Up" last week. The intro is fabulous. I think it will be another amazing study. Praying for your group. Enjoy Stepping Up...it was a good study!